Te Puke is a town located 28 kilometres southeast of Tauranga in the Western Bay of Plenty of New Zealand. It is particularly famous for the cultivation of kiwifruit. Te Puke is the region’s horticultural hub and is the driving force behind New Zealand’s kiwifruit, avocado and manuka honey industries. Experience nature-inspired tourist attractions in this typical Kiwi rural town. Harcourts also ensure maximum National and International exposure by being a part of one of New Zealand’s largest, most innovative and most trusted real estate companies- Harcourts. 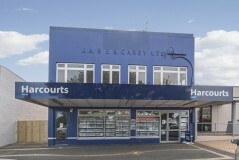 Harcourts are dedicated to providing outstanding real estate service to all of our customers and our highly experienced team are committed to YOUR success! Our Te Puke team takes the time to listen. Understanding our client’s individual needs and building genuine personal relationships is key. We build our marketing campaigns based on your needs and wants, and we use modern technology and quality tools to assist in the sale of your home.